Ton Nga Chang Wildlife Sanctuary is located in Songkhla and Satun provinces. The convoluted mountains of the Banthat range are covered with fertile Moist evergreen forests. The watershed here nourishes many streams which flow down to Songkhla Lake, especially Khlong Ton Nga Chang, Khlong Ton Plio and Khlong Boriphat. The many peaks give birth to variety of lovely famed waterfalls. Tourists many visit the wildlife sanctuary to admire the natural beauty, especially at the 7 waterfalls. Their names are : Ton Ba, Ton Plio (at 200 meters), Ton Nga Chang (at 450 meters), Ton Dam (at 700 meters), Ton Nam Ploi (at 1,050 meters), Ton Ruesi Khoi Bo (at 1,300 meters), and Ton Samet Chun (at 1,550 meters). Trekkers must climb up along the natural stairway of huge boulders gripped by large tree roots, which will leave a lasting memory. The best time to the sanctuary can be in either the rainy season from May to December, especially from October to December, or summer from February to April. 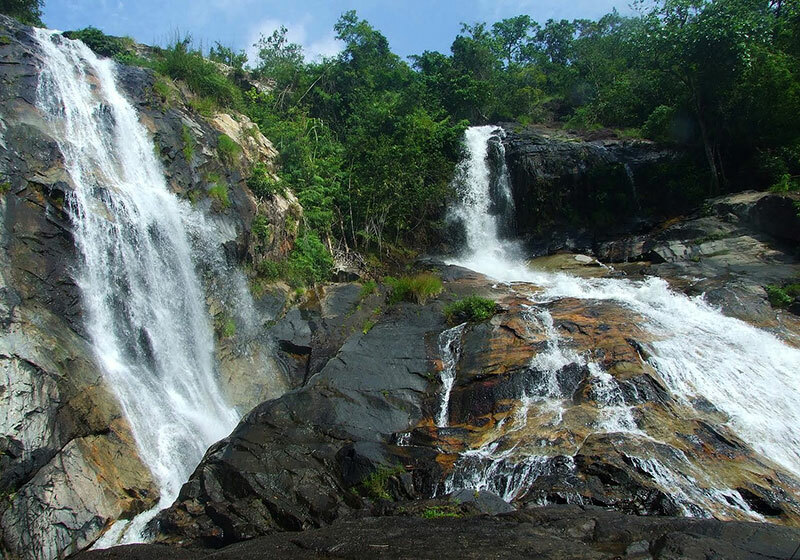 Short Description: Considered as one of the most beautiful waterfalls in the south, Namtok Ton Nga Chang [Elephant’s tusks waterfall] is located in the Ton Nga Chang Wildlife Sanctuary, just 26 kilometers away from the city.